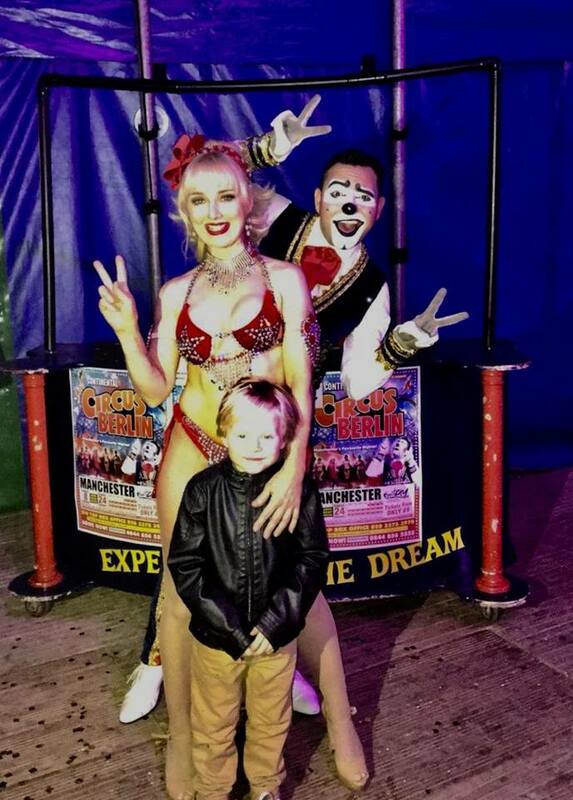 On Sunday my family and I were invited over to Manchester Event City to watch Continental Circus Berlin and having absolutely loved Circus Extreme last year we were really looking forward to it. 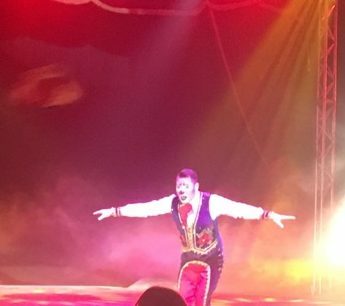 Once again we were thrilled to see that the circus was taking place the UK’s largest big top that looks like it has come straight out of The Greatest Showman and adds a real buzz of excitement and extra authenticity to the show. If you were lucky enough to watch Circus Extreme last year then you will know the calibre of show you will see, however I think it is important to point out that although some acts are similar to last year there are also plenty of new acts so it’s worth going again as this is still a different circus. For those that aren’t familiar with it or haven’t been to a circus for some time then The Continental Berlin Circus is a medley of acts, some you expect to see such as Edy the clown who entertains the audience between acts with his cheeky ways and mishaps – although be warned he does like to involve the audience from time to time. Some acts you don’t necessarily expect to see at a circus such as the brilliant dancers who sure know how to shake their tail feathers, and other acts that you may recognise from previous shows such as the death defying Danguir Troupe who perform on the quite aptly named wheel of death. The Continental Circus Berlin has something for everyone. It is a fabulous show full of incredible acts that will have you questioning your own eye sight, looking for secret harness or hidden props, wondering how such things are physically possible. It has been choreographed in such a way that they don’t miss a beat or waste a single second with one act simply transitioning seamlessly in to another, with Edy the clown entertaining you when any equipment needs to be moved so everyone, especially the children, remain engaged for the whole time. If someone had told me I would be impressed by the ability of a fellow woman changing outfits quickly I would have laughed at them. Any mother in the land has nailed the art of the 3 minute outfit change, usually whilst holding a screaming baby or attending to a toddler but this lady – well she changes outfits in about 5 seconds and I simply can not figure out how she does it but my goodness it’s impressive and I would love to know her secret. As for the boys they were both blown away by the Danguir Troupe and the wheel of death as they some how remain upright (and alive) on top of rotating spheres but not just that they then start skipping, jumping, and add in a blind fold, because – well why not!? As well as the wheel of death my boys also loved the tightrope act which is just breath taking as the trapeze artists don’t just simply walk across the wire, which quite frankly would be impressive enough, but instead they cycle across, it really is a stomach lurching moment that ends with a sigh of relief when you know they have made it across in one piece. The Continental Circus Berlin is a show not to be missed and can be enjoyed by the whole family including the petrol heads amongst us who will be thrilled to see the Extreme ® stunt riding team perform the Globe of Death, which involves them riding round on motor bikes inside a relatively small globe like cage, how they don’t crash is beyond me and it is most definitely impressive. 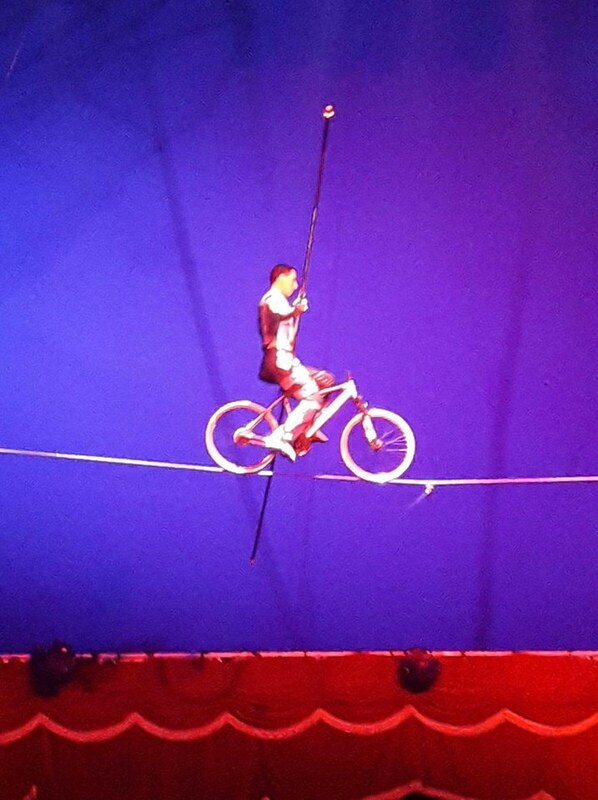 If you like nail biting, edge of your seat, fast paced acts that gives you a rush of heart stopping adrenalin whilst you stay safely in your seat then Continental Circus Berlin is for you. It will be at Event City form now until February 24th and makes for the perfect half term family activity, so book those tickets now, you wont be dissapointed. Oh and just as a little top tip, if you or your children have a favourite act then at the end instead of making a bee line for the car if you head over to the far side of the tent opposite the bar on your way out you will see all the acts lining up doing meet and greets and they will be delighted to pose for pictures for you and with you at no extra cost. My youngest was very excited to have his photo taken with the with the lady in a bikini – and so begins my life as a mum of boys I guess! Feel free to check out our other attraction reviews for more half term inspiration too. Looks like a perfect way to entertain the little one on half term!